Once the Lenovo 5901 has been synced up with its receiver, operation is smooth and easy to get accustomed to. 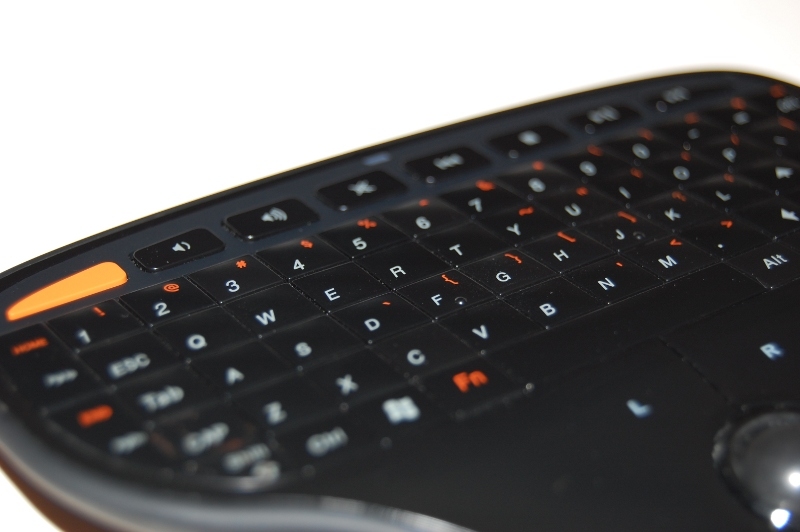 The trackball and left- and right-buttons are easily accessed with a single hand, while two hands are required to utilize the full QWERTY keyboard. The buttons, again larger than what you'd find on a mobile phone, are large enough to type quickly with your thumbs. It may be interesting to see whether one could type faster on the N5901 or the latest smartphone. The multimedia keys are: Volume Down, Volume Up, Mute, Skip Backward, Stop, Play/Pause, and Skip Forward. They are mapped the same way a full-size multimedia keyboard is mapped and require no additional configuration for them to work. Overall, the Lenovo N5901 is a breeze to both set up and use. It's a fresh alternative to full-size wireless keyboards or using a smartphone as a wireless controller, and the design is excellent. 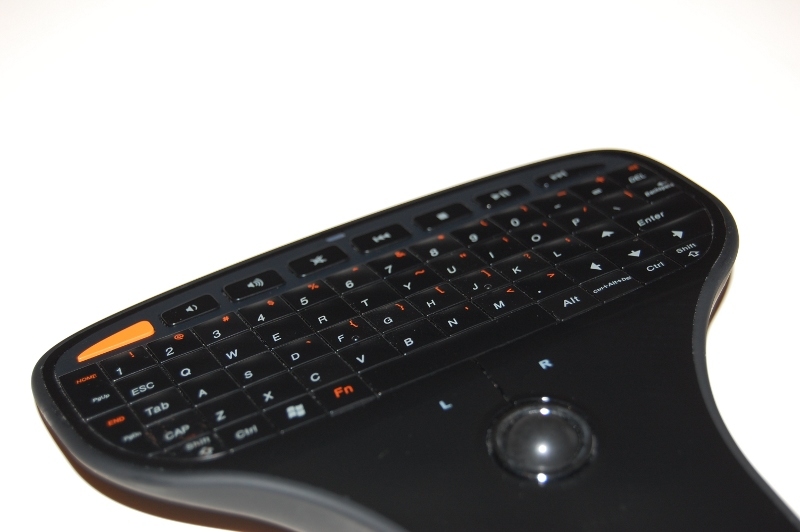 Not many other multimedia remotes have a mouse that is easy accessed with a single hand. Lenovo's design accomplishes a lot in a small package, and should be on anyone's shopping list looking to build a home theater, no matter what the operating system is.